Snob's Music: Edward Sharpe & the Magnetic Zeroes: "That's What's Up"
Edward Sharpe & the Magnetic Zeroes: "That's What's Up"
Breakout band Edward Sharpe & the Magnetic Zeroes will be releasing their very highly anticipated album Here on May 29th. They are currently streaming a new track from the album. You can listen to the new song "That's What's Up" here. 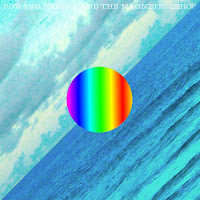 Edward Sharpe & the Magnetic Zeroes play the Kool Haus in Toronto on May 13th.